Australia's celebrated Murray River. 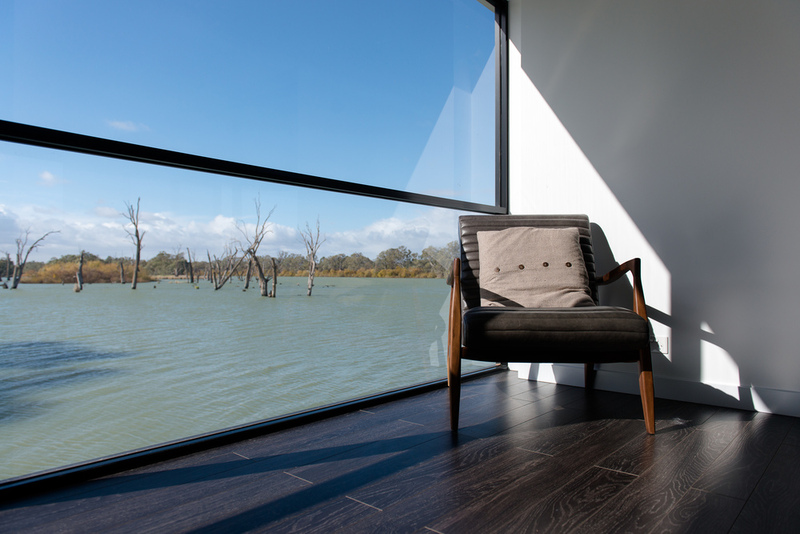 Located at bustling and picturesque Renmark, Drift is an exercise in making time to sit back, relax and enjoy time with your loved ones. 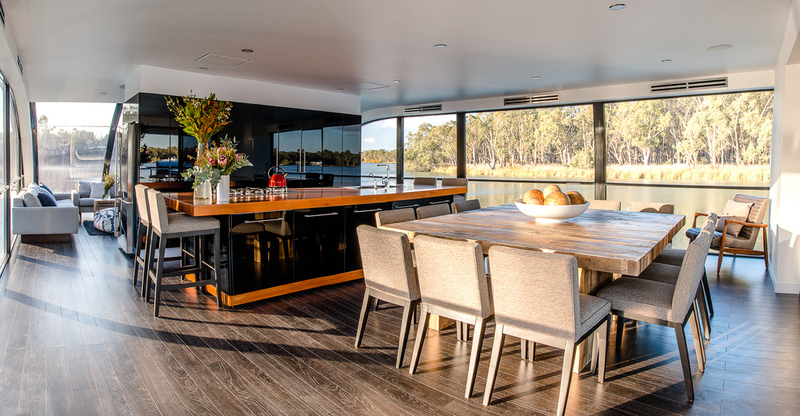 Combining contemporary design with all the facilities and comforts a houseboat should offer with the opportunity to be as close to the river as you possibly can - after all, what's the point of staying at the river, if you can't completely immerse yourself? Picture this: an orange and pink sky plays host to some light cirrus cloud. You settle yourself on the back deck of Drift with your tipple of choice, feeling the light rock of the vessel underfoot. You breathe in deeply, exhale... and let go of all that's going on in your everyday life as the sun sets. Now this is living. A memory. That time you did nothing but consume wine and cheese all weekend. The vision as you squinted at the horizon where a million diamonds seemed to dance across the water's surface. The sound of persistent ripples lapping the edges/calming your constitution. Standing at the stern, the breeze from steady movement brushing through your hair. Time finally moving to a slower beat. Feeling a bit superior and free. Reliving it in your mind's eye, with a grin, for years to come.